98fit, first of its kind Intuition driven Lifestyle & Wellbeing coach, has introduced a special diet for the health conscious fasting users for Navratri. This unprecedented diet includes 5 course meals for each fasting day comprising of a variety of delicacies that the users can easily make, relish and detox their body. Fasting during Navratri often turns out to be binge eating heavy, fried unhealthy food items due to limited awareness of options available. Moreover, in a country as diverse as India, different people have different religious sentiments leading to variety of restrictions during Navratri. Keeping this in mind, this plan offers a range of options to choose for different users when fasting. 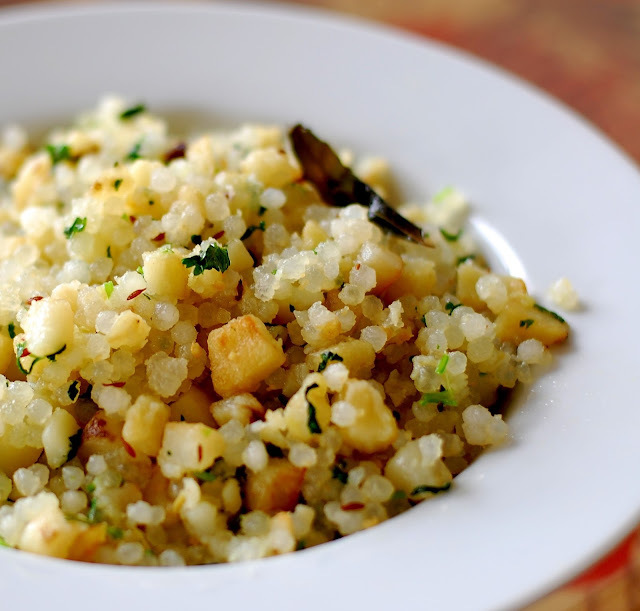 The diet includes seasonal fruits to keep the body nourished, liquids for the body to be well hydrated, gluten free ingredients such as Singhare ka atta, Rajgiri ka atta, kuttu ka atta, saboodana which can be used to make rotis, pancakes, muffins, pooris, etc. 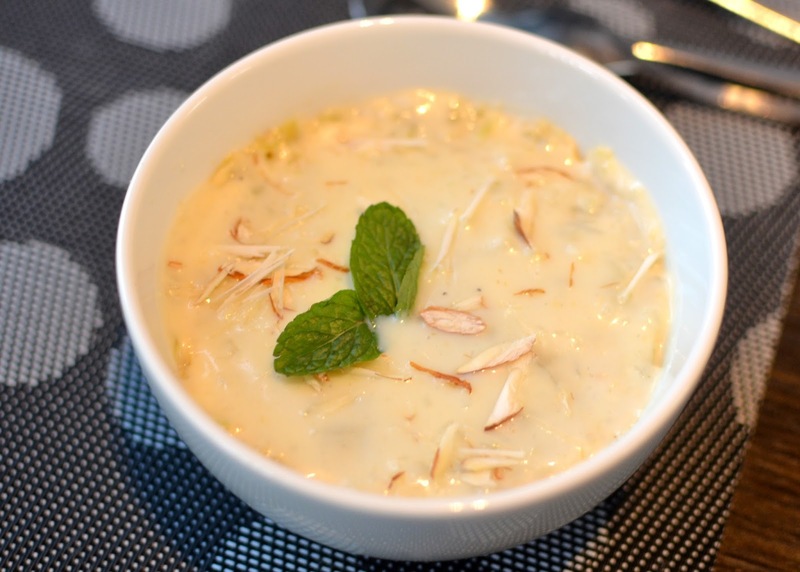 Healthy desserts, dairy products and nuts are also recommended by 98fit in the form of kheer, milkshakes, fruit cream, fruit raita, as they are required by the body for protein and energy. The web application also provides Tips for the fasting users, to fast in a healthier and tastier manner. Hindi, being the most widely spoken language and Navratri being a festival widely celebrated, 98Fit decided to help larger audience by introducing bilingual 9 day Navratri diet plan for the first time. This also is in line with their vision of making fitness affordable and accessible to the masses. 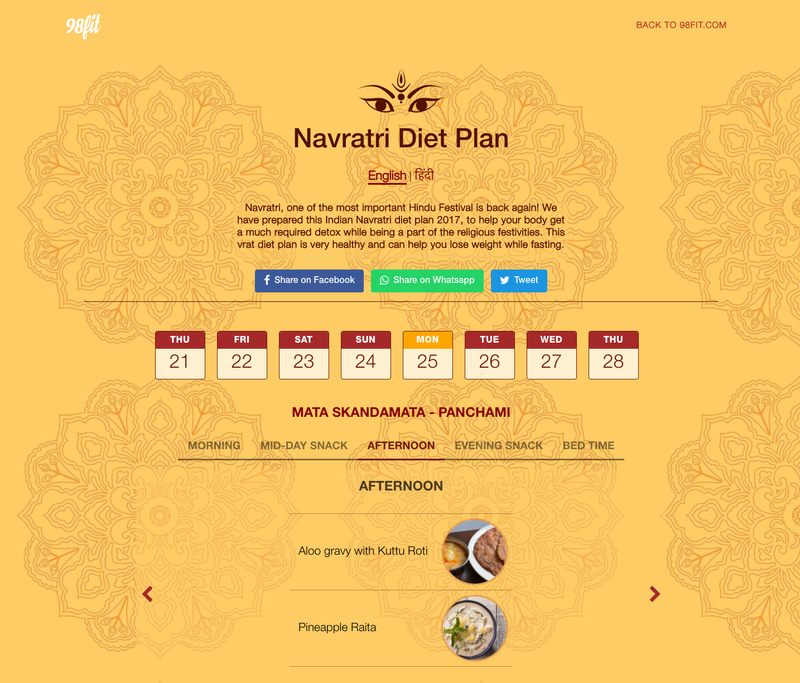 Along with this special diet plan on Navratri, 98fit will continue to provide the regular diet and workout plans. With Artificial Intelligence (AI) at the front & Machine Learning (ML) at the core 98fit is an intuitive system designed to Understand, Interpret, Predict & Suggest like a qualified diet coach or certified fitness trainer would but with much higher accuracy & computational power. It computes from 5000+ Indian meal items self-curated by our specialised team. Validates & verify each item’s 80+ micro, macro nutrients & variables. Passes them through 50+ logical conditions, cater to 8+ Medical Conditions and run 7,600 lines of code to prepare one single day’s diet chart suggesting 15 meal items divided into 5 meal groups. Similarly, for workout it computes from 1000+ exercises, based on 3 different levels, catering to 8 types of injuries and 2 workout types among many other parameters. 98fit is first of its kind Intuition driven Lifestyle & Wellbeing coach, aimed to bring about subtle Lifestyle and Dietary changes in users. Without putting them on any starvation diet or making them sweat tirelessly in gym. Started in February, 2017, the system acts as a real-time coach that works towards all aspects of lifestyle, wellbeing & fitness. It’s a Predictive & Intelligent system, that is capable to Understand, Analyse, Plan & make Real-Time Suggestions specific to each user’s requirement. From preparing a personalised diet & workout plan, tracking & suggesting water intake, activities to be performed and to managing sleep cycles. All this without any human intervention, controlled via proprietary machine learning algorithms. Founder of 98fit, Mr. Bhavishya Wadhawan, has vast experience of over a decade in the internet space & in-depth knowledge of Healthcare, Payment Tech, Geographical Information Systems and e-Commerce. An entrepreneur at the core, having had his share of failures, has learnt the art of rowing against the tides to find success and convert ideas to reality. Being a sports enthusiast, Bhavishya, is an avid cyclist & was also one of the founding member of Delhi’s second largest cycling group GODCE.